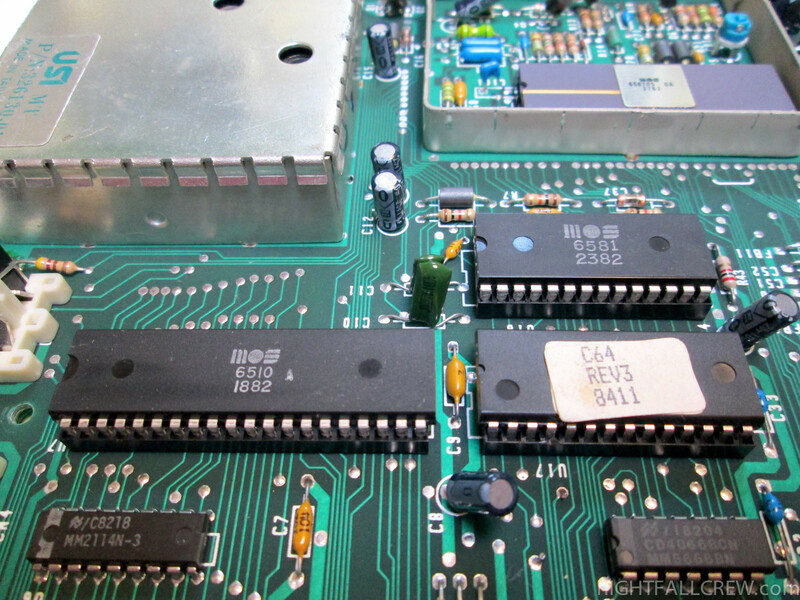 BCM64 : Wiring a real joystick to BMC64 is fairly simple. 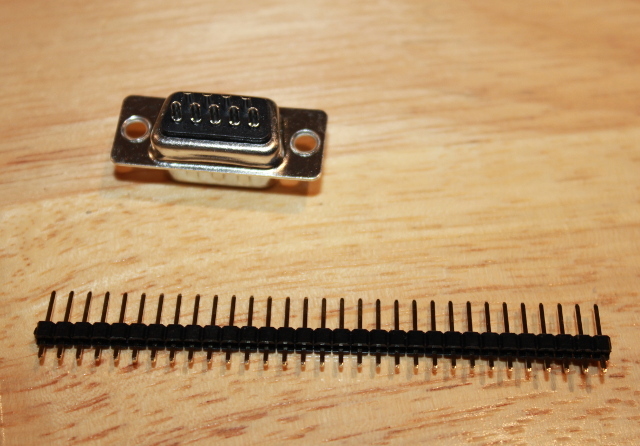 Break away 5 header pins and insert them into the back of the DB9 connector (solder side) top row (pins 1-5). They should slide in and fit snug in place. 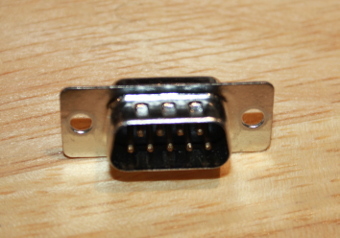 The spacing of the connector is the same as the headers. Do the same with another row of 4 header pins inserted into the bottom row of the DB9 connector (pint 6-9). 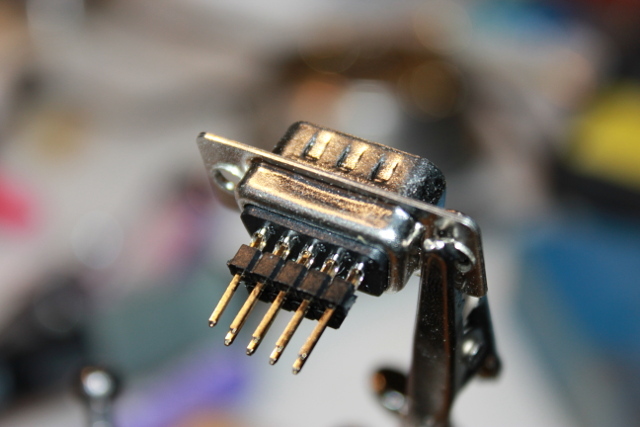 Now apply some solder to each pin to secure them to the connector. 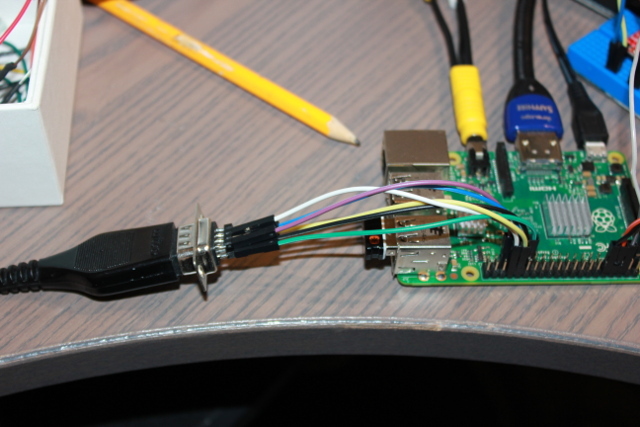 Now simply use female jumpers to connect pins 1,2,3,4,6 & 8 to your Pi according to the GPIO1 bank or GPIO2 bank assignments (described in the README.md). Done!